The NBA Draft featured some surprises this year. Luka Doncic was traded from the Hawks to the Mavericks for Trae Young, the Knicks took Kentucky’s Kevin Knox with the 9th pick, and Missouri’s Michael Porter Jr. fell to the Nuggets with the 14th pick. But, as always, there were winners and losers from Thursday night. Let’s tell some of their stories. The Suns are a pretty obvious choice here. They took DeAndre Ayton, the best player in this draft and an uber-talented 7’1″ big man who can play like a guard, with the first pick in the draft. Without doing anything else, the Suns would have had a good night. Instead, they decided to do more when they traded their 16th pick, Zhaire Smith, to Philadelphia in exchange for Mikal Bridges, the 76ers’ 10th pick. Granted, while Bridges has several areas of his game to clean up, he is a versatile player who can shoot and defend. 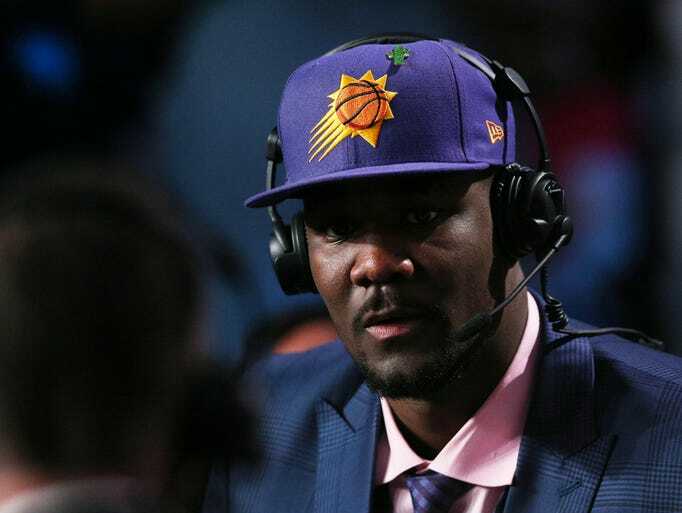 He’ll find a role with the Suns while Ayton is tasked with becoming one of the faces of a franchise that has won 68 games in the past three seasons. It remains to be seen what a young core of Devin Booker, T.J. Warren, Bridges, Josh Jackson, and Ayton can accomplish together, but the Suns can use anything they can get at this point. While their general manager, Ryan McDonough, has an up-and-down draft record (he took Dragan Bender the year after drafting Devin Booker), the Suns should be very happy with what they did on Thursday. Now comes the part that has been much easier said than done in Phoenix: winning. Before the 2017-18 college basketball season, Michael Porter, Jr. was widely considered the top prospect in this year’s draft. He had the size and athleticism to play in the NBA, as well as tangible skills that he would get to show off in his one year at Missouri… or so we all thought. Porter was sidelined for much of the season with a back injury and even though he came back for the team’s conference and NCAA tournament games, he was clearly not at full strength, as he shot just 9-29 in those two games. He was bypassed on draft boards by other healthy college players, like Ayton, Marvin Bagley III, Trae Young, and others. Despite these concerns, though, there are not many current concerns with Porter’s health. So why would this combination of Giannis Antetokounmpo and Kevin Durant still be on the board for the Nuggets with the 14th pick? The answer is simple: teams are worried about his potential back problems, both now and down the road, and don’t want to deal with that. Of course, the things that had people excited about Porter in the first place are still there, but it’s fair to ask questions about how his back will affect his overall health moving forward. After all, there’s a reason why someone who is this talented would fall all the way to the end of the lottery, and it has nothing to do with him putting his own name in the same conversation with two of the league’s ten best players. This may come as a surprise because you probably haven’t seen “Orlando Magic” and “winner” in the same sentence since 2009. The Magic didn’t do anything particularly special on Thursday; there were no trades up or down the board and they didn’t reach when they made the 6th pick. However, they did something they haven’t been very good at recently: take the best player available with their selection. That person happened to be Texas’ Mo Bamba. As you’ve heard from about 732 different outlets, Bamba has a 7’10” wingspan, which is relevant because it’s longer than those of Rudy Gobert (7’9″) and Anthony Davis (7’5″). Let’s remember that Orlando’s GM is former Bucks general manager John Hammond, who drafted some incredibly long players in Milwaukee without the stipulation that they all fit together. That being said, Bamba may have the highest upside of anyone in this year’s draft, and even though it may not seem like a lot, Orlando should be happy that they took someone like him with their first-round pick. What, exactly, were the Wizards doing the other night? Washington is a team that, without a word alive, can be competitive with anyone in the Eastern Conference at any time. They’ve had many a near-miss in the playoffs the past few seasons, and they always seem to be one of those teams that can never quite live up to the talent they have on the roster. It would seem, then, that they would need to take a game-changer with the 15th pick, or at the very least, someone who is ready to contribute to the roster right away. Zhaire Smith, Donte DiVincenzo, Lonnie Walker, or Grayson Allen all could have fit this bill. Instead, Washington took Oregon freshman Troy Brown. Granted, Brown could be a very good player down the line. But the Wizards are trying to build for right now (we think) and probably should’ve taken someone who would have been more impactful this season. It’s not just me saying this, either; Wizards president Ernie Grunfeld has been reluctant to declare that Brown can crack the rotation. Part of that has to do with a Washington roster that will bring back ten of its players, but a significant portion of that has to do with Brown himself. Nobody knows where the Wizards are going. The Wizards may not know, either. Let’s be real; you just came here for the Woj Bombs. Wojnarowski is ESPN’s best NBA insider; think of him as the sport’s Adam Schefter. One of his recent specialties has been tipping picks on draft night before commissioner Adam Silver announces them live on ESPN. In a surprise to no one, the NBA didn’t exactly love reporters like Wojnarowski revealing these picks before their official broadcast could. So, as a result of a direct appeal from the NBA, the four-letter network announced that its insiders (mainly Wojnarowski, who was lured to ESPN from Yahoo last summer) would not be tipping picks this year. This was an edict that caused some controversy. Source: Cleveland prefers Collin Sexton with the No. 8 pick. Source: Boston is tantalized by Robert Williams with the 27th pick. Phoenix is determined to select Zhaire Smith with 16. Source: The Lakers are unlikely to resist Mo Wagner with the 25th pick. Source: Utah Jazz have no plans to pass on Grayson Allen with the 21st pick. Source: Portland has a laser on Anfernee Simons. Woj is the best reporter in the NBA, and there’s a reason he’s so popular. Wouldn’t you like to go to work, have your boss tell you not to do something, find catchy euphemisms for the thing you’re not supposed to be doing, and get away with said thing? We all would love to do that, but there’s a reason we can’t all be Woj. 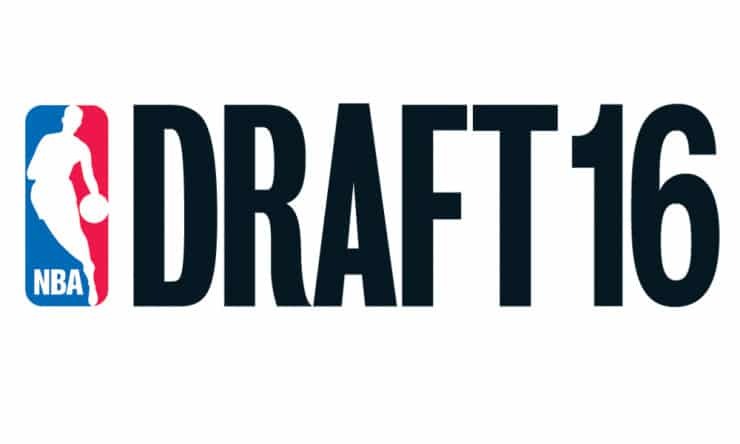 I’m sure you probably forgot about it with the NBA Finals going to seven games, but the NBA Draft is this Thursday in Brooklyn. This draft promises to be interesting on a number of levels, with a deep international pool and can’t-miss prospects at the top of the class. A couple of things to explain here. Number one, I put Brandon Ingram at #1 on my board, and I did this for a variety of reasons. The obvious one is that he’s a far, far better shooter than Simmons. Simmons will have to get a jump shot if he wants to be successful in the NBA, at least offensively. While he often looks to get his teammates involved, a la LeBron James or Magic Johnson, his shot needs an awful lot of work. I also really like Ingram as a defender, and I think this makes his value as a wing skyrocket. Another thing I should really address is Buddy Hield’s presence at #3. While this sounds hyperbolic (and maybe it is), Hield is the best shooter the draft has seen since Steph Curry came out of Davidson in 2009. Hield’s career progression kind of reminds you of Curry’s; he was a four-year student-athlete at Oklahoma and wasn’t recruited by more basketball-rich schools because of his lack of athletic ability. Sound familiar? Yeah, I think Hield is going to be really good in the NBA; his work ethic enables him to continue to improve, even at 22, and he should be able to contribute right away to whichever team takes him. So that’s nice. In any event, let’s give it a shot.  Here’s my 2016 mock draft. Let’s hope it doesn’t go up in flames. The only other logical pick for the 76ers here would be Brandon Ingram. Simmons and Ingram are the two best players in this draft, and it’s a pretty big gap between two and three. In watching that play, it’s easy to see why the comparisons to LeBron James and Magic Johnson have rolled in. However, he’s not nearly a perfect player; as previously stated, he actually cannot shoot. He’s probably not even shooting with the correct hand, so maybe a Tristan Thompson-esque change from his left hand to his right is forthcoming. Also, if he is to have any other weakness, it’s that he’s not that great in the post. His post game will need to become more advanced if he is to play the three or four in the NBA. Other than that, he’s a really good passer and rebounder, one who could and probably will be highly productive at the next level. Philly needs literally everything in the draft and free agency, so getting Simmons at 1 is a very good start. Another very easy call here. If the 76ers by chance pick Ingram over Simmons, then the Lakers would take Simmons at 2. Ingram is another very interesting player at the top of the draft. He’s kind of a prototypical NBA wing, and as you can see from this highlight reel, he can really do a little bit of everything. Personally, I like Ingram a little more than Simmons because his skill set better fits the NBA game. He’s a good shooter (41% from three last season) and his shot should improve with time and repetition. He also has lots of potential defensively and can become elite when he adds more strength. The obvious knock on Ingram is that he’s thin as a rail. That he is (6’9″, 190 lb. ), and he will initially have trouble guarding stronger players in the post. He’s also very raw and could become a far better finisher, especially in traffic. Ingram has stated that he wants to eat lots of calories in order to bulk up, and he will have to fill out his frame in order to flourish in the NBA. However, history has shown that he can still be on the thin side and succeed. In watching him play, he reminds me of Kevin Durant, and I mean every word of that statement. The Lakers will get Ingram or Simmons here. Not a bad consolation prize at all. This is where I could see the draft getting very crazy. The Celtics could do any number of things with this pick (including trade it) and there are several players they could take at 3. The guy I have them taking is Dragan Bender, the slightly mysterious, physically imposing big man from overseas who is projected to go in the top-5. Sound familiar? Yeah, Bender is this year’s Kristaps Porzingis, for better or worse. Bender’s game is a little bit of an enigma; he is a decent shooter who has shown that he can step out to the three-point line every once in a while. He’s also a very good passer, particularly out of the post, which should help him against over-aggressive defenses. But there are some apparent weaknesses: he’s not a great defender and his fundamentals are very poor. His shot is also very inconsistent and he only shot 25% from three for Maccabi Tel Aviv last season. Nonetheless, he projects as a solid NBA player. Maybe he’ll be a solid unicorn as well. Jaylen Brown is one of the most intriguing players in this draft. Brown is extremely athletic, the type of player who should be able to strive in Phoenix’s up-and-down system. Brown is an athletic specimen, but he doesn’t have that much more to offer other than his athletic ability and his defensive game; the two have a symbiotic relationship. He doesn’t have very many advanced dribble moves and is only really a straight-line driver in the half court. He also doesn’t have much of a jumper at this stage in his development, so going to a system that doesn’t require very much of him offensively will be very important. Brown is incredibly raw, but he won’t be 20 until the season begins. If he goes to the right place, he could develop into a really good player. He has one of the highest upsides in the draft and he should be able to improve once he gets to the NBA. Pheonix might be the place for him to do that. Buddy Hield may not be the best player in the NBA Draft but he was the best player in college basketball last season. That has to count for something, right? Hield […] tries to get between 300 and 500 shots a day outside of practice. And that’s on the days he’s feeling good about himself. When he feels like he’s off, he’ll push himself into the 500 to 700 range. 500 to 700 shots per day. That’s absurd, but it at least partially explains why Hield has gotten so good. The other part is sheer, natural talent, which he has a lot of. His athleticism is what hindered him going into college and it will again in the NBA. But if his work ethic is any indication, Hield can make himself into one of the best players in this draft and one of the best shooters in the league. And the Timberwolves will reap the benefits at 5. That is unless they deal the pick, of course. Kris Dunn is one of the few locks in this draft; at 22, he’s also one of its oldest players. This kind of eats away at his upside, but it’s abundantly clear that Dunn is the best point guard in this year’s class. It isn’t that close, either. As for his fit in New Orleans, it would probably be a really great place for him to go. He would step in immediately as the team’s starting point guard, but that’s not the best part of a potential Dunn-Pelicans union. New Orleans started four different point guards over the course of last season; Dunn would solidify the position and, at worst, give the team another option. There’s also the appeal of what Dunn brings to the table. He’s one of the most athletic players in this draft and this helps him on both ends of the floor. He isn’t as good of a decision-maker as you would think and his jump shot isn’t that great, but these things could still improve with time. In the meantime, he’s an already solid defender who should get even better in the NBA. Also, his athleticism and his ability to pass should help him acquiesce with star big man Anthony Davis; needless to say, prepare for a poor man’s version of Lob City in the French Quarter. Dunn is the perfect fit for the Pelicans, and he’s one of the few sureties of this draft. He may be a little overrated, but he’ll still have himself a solid career in the NBA. Murray is a certified scorer, having put up 20 per game on an offensively stacked Kentucky squad. He’s also a good decision-maker and a solid passer. His greatest gift, though, is not on the offensive end. Murray is one of the best defenders in this year’s draft, and even though his lack of athleticism will hurt him at the next level, his effort and energy will help him compensate for this weakness. Even though he’s not big enough to guard wings, he should be able to have success against guards, which is critical for a Nuggets team that allowed 105 points per game last season. Denver also ranked 26th in three-point percentage (33.8%) last year, so Murray is basically the epitome of everything they need right now. He’s far from a perfect player, but Jamal Murray is a player you would want on your team; he makes effort plays that help his team win games. Hopefully for the Nuggets, drafting him will help them improve from their 33-win mark of a season ago. This is where the draft starts to turn a little bit upside down. I have the Kings taking the riskiest player in this draft at 8: Marquese Chriss. Chriss is only 18 years old and won’t turn 19 until next month. If you watch him play long enough, his age and inexperience show. He doesn’t bring very much to the table offensively, although he does have a pretty good jump shot. Also, his defensive game needs quite a bit of work, and his effort is questionable at times. He will have to prove that he’s mature enough for the NBA, and I’m not convinced that he is right now. The selling point for Chriss is his extraordinary upside. He may be the most athletic player in the draft and his quickness could help him become a good defender if he works at it. He’ll have to do that in addition to proving that he’s mature beyond his years. My guess is that he’ll be headed to the D-League to start his career. Someone will take a risk on him in the top 10, and I think the Kings will be that team. Davis wasn’t expected to be a one-and-done prospect but he rose quickly in college. At this point of the draft process he’s a likely lottery pick. But NBA teams are drooling for more bigs that can protect the rim, switch screens, and rebound, so Davis could surge up the charts as the draft approaches. Just like he always has. Davis has risen in the draft process, as his athleticism and rim protection make him appealing to teams looking for a little more punch defensively. The Raptors are going to need that punch in the future, as sudden playoff hero Bismack Biyombo is due for a massive raise from his $2.81 million salary of a season ago. He’ll get that raise, but it may not be from the Raptors. Davis is not much of a jump shooter at this stage of his development; he does have the potential to step out from midrange eventually. He’s kind of an inconsistent player, but he’s also still a teenager learning the fundamentals of the game. He should be able to improve as he learns how to play basketball, and he could become one of the best players in this draft. His upside is abundant, which should appeal to the Raptors, who are looking to dethrone the Cavs in the Eastern Conference. That may not happen, but drafting Davis with the 9th pick would be a prudent decision for them. Furkan Korkmaz is one of the unknown players in this year’s class. His skill set, though, allows him to translate in the NBA right away. I’ll admit this: I wasn’t able to see quite as much of him as I might have liked. What I did see of him grabbed my attention, to say the least. For example, Korkmaz is a very solid shooter with exceptional form. When watching him play, you immediately hearken to watching someone like Klay Thompson, a shooter with perfect form and a very quick release. Even though Korkmaz may be more of a forward in the NBA, he’ll be playing the type of game that Thompson does now. His shooting could help several teams; that’s where the Milwaukee Bucks come in. The Bucks shot just 34.5% from deep a season ago and have struggled in three-point shooting for the past several years. The team made an effort to resolve this problem by drafting UNLV sharpshooter Rashad Vaughn a season ago; Vaughn shot threes at a 29% clip last season. Drafting Korkmaz could go a long way toward fixing this problem. He has told teams that he’ll be coming over right away and he could provide immediate shooting help for a Bucks team that could use it. The Bucks are close to contention; taking someone who could help address their biggest flaw can’t hurt. Marquette’s Henry Ellenson has recently drawn some comparisons to Dirk Nowitzki. When he plays, it’s easy to see why; they possess very similar sets of skills and body types. Ellenson can do many different things offensively. His major weakness, however, is his defense. The main reason why he struggles so much defensively is his athleticism, which is another similarity he shares with Dirk. Ellenson is simply a slow player, but the Magic could use his skill set to their advantage. Consider this: new head coach Frank Vogel seems to really like big men. He cultivated the careers of Roy Hibbert and Myles Turner in Indiana, and he doesn’t really like to play at a very fast pace. That style of play will be perfect for Ellenson, as the team will only rely on his shot-making ability and offensive game. Even if he isn’t the next Dirk, Ellenson will still be able to help many teams. The Magic are definitely one of them. The Hawks could definitely use another guard in their system. Murray is that guy. He is one of the better scorers in the draft; the problem comes in his efficiency, or lack thereof. He consistently forces up bad shots and will need to improve his shot selection at the next level. His defense is also lacking somewhat, but he can improve this skill. The Hawks probably wouldn’t be asking very much out of Murray, at least to start. Why they are drafting him has everything to do with his offensive ability, as he could give the Hawks a diverse set of talents. Atlanta needs to be willing to wait for them to develop, though, as Murray is very raw and needs time to realize his potential. Even if he goes to the D-League to start his career, Murray may be able to help Atlanta offensively for years to come. Just don’t expect it anytime soon. At this time a year ago, Skal Labissiere was regarded as one of the top players in this draft. Oh, how the mighty have fallen. Labissiere’s 2015-16 collegiate season at Kentucky was one of the most singularly disappointing campaigns in recent memory. It wasn’t all his fault; he didn’t receive a ton of playing time and didn’t get the repetitions needed to improve his overall game. He needs to improve exponentially, but you can see why teams are excited about him. At 7’0″, Labissiere could reasonably play center in the NBA. That being said, he still has a long way to go in many areas; he has little to no offensive game and would probably be off to the D-League to start his career. While that is true, some teams are salivating over him because of his upside. At just 20 years old, he does not possess the competitive experience of his peers. Having grown up in Haiti and lived through the 2010 earthquake, Skal has been through a lot. Luckily for him, he’s about to realize his NBA dream. I would be willing to take a chance on Labissiere near the end of the lottery, and I think the Suns would as well. I will be very honest with you: Jakob Poeltl does not thrill me. I’ve wanted to like him throughout this process, and I don’t think he’s going to be a bad player in the NBA. But having watched him several times during the season and in the NCAA Tournament, I wasn’t blown away by him. He’s a very true center and really doesn’t possess any ability to play the 4. Also, he doesn’t have great athletic ability or an advanced offensive game to make up for it. This lack of offensive prowess hurt him in his NCAA Tournament matchup against Gonzaga’s Domantas Sabonis; if you don’t want to see the highlights, Poeltl got destroyed. Nevertheless, the Bulls might need a center this summer. Joakim Noah is a free agent and a shell of his former self. While the team is trading point guard Derrick Rose to the Knicks, the lack of a true center is their biggest need right now. So even though I see several issues with Poeltl’s game, I think he’d be a solid pickup for Chicago. He’s not overwhelmingly good like some scouts think, but he’ll be a solid choice for the Bulls at 14. And really, solid is all Chicago can ask for. The Nuggets’ second pick of the first round is a little bit more simple. They’ll likely take the best player available here: Michigan State’s Denzel Valentine. Word is Michigan State’s Denzel Valentine may have a fairly significant knee issue, so much so that one team sort of compared him to former Indiana Pacers All-Star Danny Granger, who came into the league with a degenerative knee condition and struggled every year to play 82 games. League sources said it’s still likely he will get drafted in the first round, but his stock looks to be a tough one to lock in with so many teams believing his knee will be a problem. I’d say that’s an issue. But if Valentine can stay healthy, he’ll be one of the most effective players this draft has to offer. As a very good passer and shooter, he could immediately step into the point forward role that many have talked about Ben Simmons assuming. With the Nuggets, taking Valentine should be the obvious choice. Given all of Danilo Gallinari’s injury concerns, wouldn’t it be a good idea to have his replacement ready in case they flare up again? This is the pick they should make. Hopefully, Valentine proves to be more like Jared Sullinger than Danny Granger. If the Celtics are serious about being players in free agency for Kevin Durant and others, then their best option is to pick a draft-and-stash international player. Enter Ante Zizic, a center from Croatia. Zizic is an interesting player and one of the best rebounders in the draft. He likely will not be coming to the States this year, so the Celtics won’t be paying him. They will retain his rights, though. At just 19 years old, Zizic was exceptionally productive in Croatia; he posted a 25.7 PER in just one season in the league. Zizic’s productivity should mean that he’ll fare well in the NBA. He won’t be here this year, but his rebounding, defensive, and scoring ability should have him in demand on draft night. And with the Celtics looking to save all the money they possibly can, they’ll be willing to wait for his skill set to make its way across the Atlantic. Perhaps no player in the first round of this draft helped his stock through the draft process more than Syracuse’s Malachi Richardson. Richardson had one of the best performances at the Draft Combine in mid-May, which undoubtedly led him to keep his name in this year’s class. The Grizzlies are enamored with the Syracuse wing, and he could be a fit here. They could really use the perimeter shooting he offers and has some upside. The Grizzlies have essentially promised Richardson he will be taken here if he isn’t before then. Richardson would offer the Grizzlies a bevy of skills, from his outside shooting to his athletic ability. He’s a pure scorer, and that has precluded him somewhat from becoming a better passer and decision-maker. Richardson really needs to improve his shot selection to stick in the NBA. He has a tendency to take poor shots, particularly early in the shot clock. If he can curb this habit and become a better passer, he’ll become a good player in the NBA. But for now, he’s good enough to get a promise from Memphis at 17. Domantas Sabonis is a very interesting player. As a pure power forward, he doesn’t possess very much athletic ability or a consistent three-pointer at this phase. However, he can give a team a legitimate offensive threat off the bench, one who could step out to midrange or put it on the floor and get to the basket. Sabonis’ stock is somewhat difficult to pin down. While I could completely see him being taken in the lottery, I could also see him falling out of it. He doesn’t have a ton of upside and his biggest progression in the NBA will be his improving perimeter jumper. He’s not that fast and not really athletic. But he makes hustle plays, ones that win games and keep him in demand. Also, his father, Arvydas, played in the NBA for seven seasons, all of which came after his 30th birthday. His dad was a very intelligent player, and Domantas is too. Detroit has been looking for a talented backup big man since their deadline deal for Houston’s Donatas Motiejunas fell through. Stan Van Gundy will get what he wants in Sabonis. Wade Baldwin has been shooting up NBA Draft boards with comparisons to Russell Westbrook. Yes, that Russell Westbrook. Baldwin has also shot up big boards because of his performance in interviews. He’s said all of the right things in the draft process and teams don’t really seem to care if he himself actually believes them. Needless to say, Baldwin’s athletic ability will help him bring a lot to the table for NBA teams. He could become a good defender if he wants to be; that’s a big if, but it could be a major asset in his game. He’s also a dangerous shooter from deep, having shot 42.2% in two years at Vanderbilt. His jumper is somewhat inconsistent, but it’s easy to see why some teams are absolutely drooling over him. For the Nuggets, Baldwin is another guard in a crowded backcourt that includes Gary Harris and Emmanuel Mudiay. There’s always the possibility that Mudiay doesn’t work out as the team’s starting point guard (he ranked 375th in the NBA in PER last season), so Baldwin should make for a solid insurance policy. Hopefully for him, he can rise even higher than this before Thursday night. So, Larry Bird, you want to play a little faster? Okay, you have your guy. Johnson would be the perfect fit for new coach Nate McMillan’s (and Bird’s) system. He would be ideal as a rim runner and a finisher who could throw down putback dunks. He wouldn’t be asked to do very much and has a legitimate dunk contest future. If the Pacers get that Brice Johnson, they should be more than happy. Some mock drafts see Timothe Luwawu landing in the lottery. Mine does not, as I don’t see very many teams that need help at the wing. Luwawu is a good player, one who almost entered the draft a season ago. His most translatable NBA skill is his jump shot, as he is a very good jump shooter for a small forward. His other impressive skill is his defense, as he is one of the best defenders in the draft, even if his consistency lags behind. Luwawu has not been playing competitive basketball for a very long time, and he still has room for improvement. He is 21 years old, but he still has some upside left. The Jazz seem to like defensively-inclined, athletic players. Luwawu will give that to them, and while he isn’t quite ready to assume a larger role right now, he should become a very good player in the NBA. The one issue with Utah’s current construction is that Gordon Hayward could very well be traded; Luwawu could go a long way toward replacing him. The Jazz trade down and get their man, regardless of whether or not Hayward stays. Malik Beasley is one of my favorite players in this draft. He makes his teammates better. He’s unselfish. He goes after loose balls with reckless abandon. He gives 100% at all times. And then there are the obvious tools be brings to the table. His athleticism is off the charts and he is able to finish dunks with authority both in transition and the halfcourt. As a defender, he is very solid, and his athleticism and development will definitely help him improve on that end. The Hornets may be in the market for a backup point guard. Jeremy Lin has a player option for next season and figures to demand more than the $2.1 million he made this year. Beasley would be a cheaper solution, one who could give the Hornets some minutes behind Kemba Walker. Beasley would be a backup plan for Charlotte, but he’d be a very good one. He would give an effort and energy that would be infectious. He’d also give the Hornets good defense, and he’s only getting better on that end. This would be a home run for the Hornets if they could land Beasley. It might even be the biggest steal of the draft if it happens. I totally believe that. The Celtics have another pick, and the common sense solution is another draft-and-stash player: Rade Zagorac. Zagorac is a player with good size for a wing (6’9″) and noteworthy athletic ability. At just 20 years old, he’s still got a lot of room to improve, and staying to play in Serbia for at least another year or two should be beneficial to his development. I know it sounds crazy that the Celtics would take three international players in the first round. It probably is; I wouldn’t be at all surprised if the C’s deal at least one of their first-round selections. They have eight in total, so there will be plenty of other opportunities to improve their team. I could definitely see them trading one or more of these picks to acquire assets to help them win now. If they keep the pick, I have them taking Zagorac. That is a very big if. I may have said this earlier, but the 76ers have a ton of needs. The biggest one is probably the point guard position, and even though they’re going to take Simmons with the first pick, they could use some serious guard help. So it would only make sense that they take the best guard available in Demetrius Jackson. Jackson would be able to help the Sixers almost immediately as a passer, finisher, and shooter. His offensive game is generally undeveloped but he should be able to step in and contribute right away. However, this is another situation where the team could deal its late-first round draft pick. The Sixers have been in “active discussions” with other teams about trading the pick and it would make complete sense if they did. Philly could use some shooting to surround Simmons and could include this pick in a package with one of their many, many, many big men. So if Philly holds on to the 24th pick, they’ll take Jackson. My guess is that they won’t. You’ll never believe this, but the Los Angeles Clippers have a first-round pick in this year’s NBA Draft. Even better, they haven’t traded it away. Yet. Team President Doc Rivers has made some questionable decisions during his tenure that have seriously sabotaged head coach Doc Rivers. Late first round draft picks have not been among them, but Rivers has a questionable history when it comes to personnel decisions. And, let’s face it, the Clippers could be on the verge of blowing up their roster in a nuclear manner. In deciding what to do about many of the team’s soon-to-expire contracts, Rivers will have to decide who to keep and who to get rid of; he’ll have to decide on the futures of players such as Blake Griffin, Chris Paul, and J.J. Redick rather soon. Patrick McCaw might be a part of the Clippers’ (soon-to-be-revamped?) roster. McCaw is an intriguing player best known for his athleticism and finishing ability. He struggles defensively and with his shot but he has the potential to stick in the league. The Clippers need to take advantage of this opportunity. It’s not every year that you get to have a first-round draft pick. Well, not for them, anyway. This is another pick that the 76ers will likely trade. I really can’t see any way the team keeps the pick unless it drafts an international player. What I can do is tell you a little about Taurean Prince. Prince grew up in San Antonio and his parents separated early in his life. Long story short, he bounced from home to home without finding a permanent one. He went back and forth between both of his parents and wasn’t able to find full-time shelter until going to college at Long Island University, only to transfer to Baylor. CSN Philly has his full story if you’re interested in reading it; you really should give it a look. That puts things in some good perspective and it shows that Prince won’t be fazed at all by playing in the NBA. As a player, Prince is a very good athlete who excels at the defensive end. He’s not a great offensive player but he has some potential left to improve. He does have NBA range from deep and could become this draft’s “three-and-D” player. But the most important thing he’s about to become is an NBA draft pick, fulfilling his dream of being in the league. If he does nothing else in basketball, he will have gotten much farther than anyone could have expected when he was going from house to house as a child. DeAndre’ Bembry is probably the best offensive player left at this point in the draft. The Raptors could use a little offense, even if it comes at the end of the first round. Bembry is capable of throwing down in transition and has a good body for a guard. He’s also a very good ball-handler who is able to make advanced dribble moves to get to this shot. He is a certified scorer, having averaged nearly 18 points per game over the past two seasons. However, his weakness is his jump shot and how it has regressed since his freshman year at St. Joe’s. Inexplicably, Bembry’s three-point percentage dipped from 34.6% in his freshman year to 32.7% in his sophomore year and finally to 26.6% this past season. Bembry will have to fix his shot if he’s going to have a successful NBA career. The Raptors will take the best available player here and take a chance on DeAndre’ Bembry. This is the ultimate low-risk, potentially high-reward pick. Actually, there’s little to no risk in taking Thon Maker with the 28th pick in the first round. Maker is a rarity in today’s NBA Draft: a player who came straight out of high school into the draft. Maker was able to do this because he actually graduated high school in 2015, the same year Simmons, Ingram, and every other one-and-done player did. However, Maker decided to stay in high school as a post-graduate student, therefore fulfilling the minimum age and schooling requirements (one year out of high school) for entry into the NBA Draft. Maker is poised to become the first player to be drafted into the NBA straight out of high school since 2005, the last year of the league’s old eligibility rules. As a player, Maker is incredibly raw; he never played college basketball and has very little competitive experience. His best skill is his rebounding ability, a talent crafted from his effort and elite size (7’1″, 220 lb.). He is also a good defender and could become a rim protector with time. The other clear upside with him is that he’s 19 years old and could get a lot better with NBA coaching. There’s a reason why picking Maker is a perceived risk; teams won’t know what they’re getting until the Summer League (Maker did not play in any 5-on-5 games at the Draft Combine). However, there is something to be said for the possibility that he could be the player with the highest upside in this draft. Maybe, at the end of the first round, a team will take a minimal risk on Maker. He really is two years away from being two years away. After that, we’ll see where he is. But he’s going to be drafted, and I think the Suns would take a risk on him at 28. You’re probably keenly aware of the San Antonio Spurs’ history of digging out international talent. From Tony Parker to Manu Ginobili to Fabricio Oberto to international hero Boban Marjanovic, the team has been brilliant at finding good international players and developing them into solid NBA players. This pick will be no different. Ivica Zubac is a very talented player who would fit perfectly into the Spurs’ system. He’s a great passer, particularly for a center, and he has a very good, balanced skill set offensively. He reminds me an awful lot of Marc Gasol; unfortunately, he reminds me of Gasol in some negative ways, too. The two have a lot of things in common, but their biggest similarity is their shared foot problems. Zubac plays fairly low to the ground and his broken foot, suffered in 2014, is the reason why. Add that on to a knee injury suffered last year and you get a picture of a somewhat crippled big man whose injury problems may get worse before they get better. It’s the ultimate Spurs pick, though. R.C. Buford and Gregg Popovich have done a great job with international picks; they even have a couple stashed away in other countries. They would be more than receptive to taking Zubac or another international player at 29, so don’t be surprised if and when they do. And don’t be surprised if their pick becomes a future all-star, either. Let’s face it; the Warriors really can’t make their team better through the draft. They have the reigning unanimous MVP (Steph Curry) and two other stars (Draymond Green and Klay Thompson) on the payroll. They’re doing pretty well for themselves. A logical and interesting choice here would be Kansas’ Cheick Diallo. Diallo showed flashes of being a solid player last year at Kansas but played very limited minutes. He made a name for himself at the Draft Combine and left his name in the draft off the heels of his performance there. He’s extremely raw on both ends of the floor and would need extensive time in the D-League before coming to the NBA. Going to the right situation is crucial to his development. Golden State is that perfect situation. I think they might take a risk on him at the end of round one. What did I get right and wrong? Leave a comment below or tweet me! The Great Debate: Brandon Ingram or Ben Simmons? 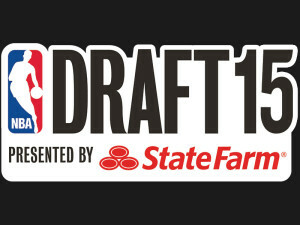 The NBA Draft is less than a month away, which is kind of unbelievable. While it is unfair to judge this early in the process, it would be fair to assess this year’s draft as top-heavy. Many, including myself, believe that the two best incoming rookies are LSU’s Ben Simmons and Duke’s Brandon Ingram. Most also would agree that there’s a large gap between the second and third-best players in the draft. The 76ers and Lakers, respectively, have the first and second picks. Philadelphia’s choice will be real simple: the consensus #1 in Simmons or the younger, higher-upside, riskier choice in Ingram. Let’s make a case for either as the #1 pick, starting with Simmons. I’ll preface everything I am about to say with the fact that, at this time last year, I viewed D’Angelo Russell as the best player in the draft. We all make mistakes. LSU’s Ben Simmons is the best all around player I’ve seen since LeBron James came out of high school straight to the NBA! He’s a very intelligent offensive player, one who uses his athletic ability and length to overpower smaller, weaker defenders. He needs to learn how to shoot (more on that later) but his athleticism, rebounding, and passing make him, in the minds of many, the undisputed top pick in the 2016 NBA Draft. And it’s easy to see why; we haven’t seen anything quite like Simmons in a long time, and it’s difficult to compare the Aussie to just one past or present NBA player. If I were to guess, he’s equal parts of Lamar Odom, Blake Griffin, and LeBron. He possesses Odom’s passing ability and creativity, Griffin’s rebounding ability, and LeBron’s can’t-miss athleticism. He has the potential to be a special player, but his skill set is one unfamiliar to many. That shouldn’t prevent us from appreciating him, though. And it shouldn’t prevent him from reaching his full potential, either. Ingram’s case is rooted less in the now and more in the potential of what he could become later on. 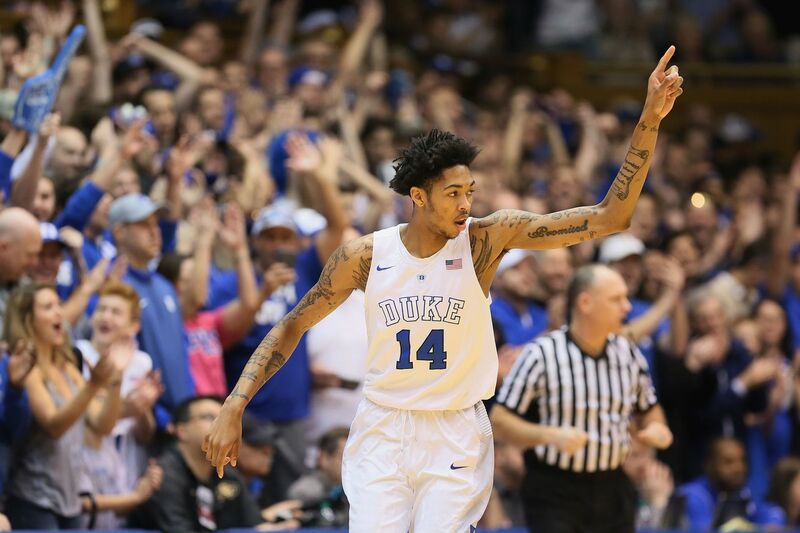 Ingram came into Duke very shortly after turning 18 and improved greatly on both ends as the season went along. While he had more talent around him in Durham than Simmons did at LSU, Ingram’s steady improvement and promising upside make him a potentially high-reward, albeit somewhat high-risk, pick at one. Ingram’s potential is off-the-charts. That’s why Philadelphia should take him with their first overall pick. We’ve dissected the case for each player to go first overall on June 23. In my view, Ingram and Simmons are 1 and 1a; it’s hard to go wrong either way. That being said, I do have to pick one over the other, and even though they are very close talent-wise, I’ll take Brandon Ingram by a hair. Here’s why. For one thing, I like his fit in most NBA organizations. There aren’t many systems in which he would not be able to find a role, as his talent at both ends gives him the versatility to succeed. This isn’t to say that Simmons is not versatile, but he is multi-talented in a slightly different way. For example, he was asked to handle the ball more in college than he likely will in the NBA. Ingram, on the other hand, worked more off-the-ball at Duke, getting open off screens and the penetration of Duke guards. On that note, Ingram is a far better off-ball player than Simmons. He plays very instinctually on offense and knows how to get open. The LSU forward isn’t there yet, but he has to learn how to shoot first. Don’t think that Simmons’ inability to sink a jump shot won’t hurt him at the next level. Defenses will be more likely to sag off him, preventing him from building momentum toward the rim and, in turn, creating offense for his teammates. He’s also not even shooting with the proper hand; learning to shoot with his right hand and not his left could help him improve. But he absolutely has to get better from outside of the paint, and this will likely be the next step in his development. The thinking from Simmons’ camp is straightforward and simple: It’s the Los Angeles Lakers or bust. As it stands, Simmons has five-year endorsement offers from adidas and Nike. Adidas is offering a $10 million deal that also includes a $2 million signing bonus and a $1 million incentive bonus for being named Rookie of the Year. There are also several other on-court performance triggers that would provide Simmons with elevated marketing, extra resources and possibly his own signature shoe should he play at an All-Star level. I’ll be honest: the shoe endorsement opportunities and off-court distractions are somewhat significant, but they should not be non-starters in Bryan Colangelo’s decision. However, if Simmons and his agent, Rich Paul, expressly state that the prospect will refuse to play for the team, then Philly has to either take Ingram or trade down for more assets. The 76ers are in a difficult position with this pick, especially if Simmons’ demands force their hand. For these and other reasons, I would take Brandon Ingram over Ben Simmons if I had the #1 overall pick. It’s a tough choice and one that will dictate the future of the 76ers for years to come, but I think that Ingram will continue to improve and validate his very high upside. But it’s a very difficult decision, one I’m very happy I don’t have to make. 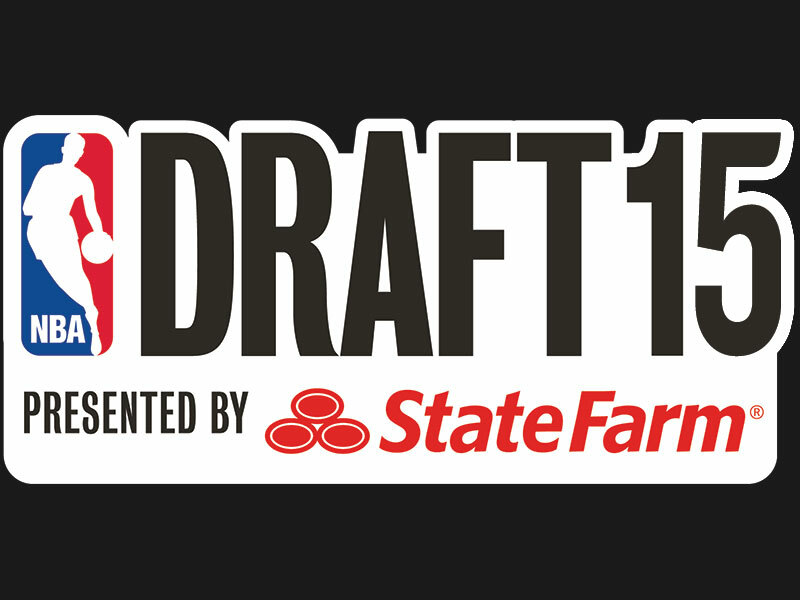 The NBA Draft is just about exactly a month away and mock drafts and big boards are abound. Many mock drafts have either Duke center Jahlil Okafor or Kentucky power forward Karl-Anthony Towns going #1 overall. Many big boards say the exact same thing: Either Towns or Okafor is the best player in the draft. Personally, I would take Towns over Okafor for various reasons, but I really don’t think that’s the conversation we should be having here. I think that the best player in the draft is neither Towns or Okafor: It’s Ohio State point guard D’Angelo Russell. First, let’s look at Russell physically. Russell is tall for a point guard, at 6-foot-5. While his frame is only at 180 pounds right now, that should fill out over time. While these are positives, there is one large, glaring negative with Russell: athleticism. He does not get high off the ground, and some see this as the one trait or quality that will serve to doom his career. However, he realizes this, and he plays as a low to the ground player, with a solid mid-range jumper and floater game. Also, his basketball IQ is through the roof, routinely seeing plays before they develop and making the simple play. Second of all, Russell is easily the most offensively polished player in the draft. He is a pretty good post player, occasionally using his size to post up smaller guards. Also, he has the potential to be a very good shooter in the NBA. While his shot is streaky, he can develop it; what also helps is that he’s just 19 years old. He’s a versatile scorer, too, using all aspects of his offensive game to score. He is also an incredibly unselfish player who passes to open teammates. Along these lines, he is a very good rebounder, and after getting a rebound, he uses his IQ and unselfishness to push the ball ahead in transition, which creates a chance for open teammates at the other end. What will hold him back, as I mentioned earlier, is his lack of explosiveness and athleticism. Because of this, he consistently avoids contact at the rim and relies far too heavily on his floater. He will most likely also struggle against size and shot blocking defenders at the NBA level, which will force him to take too many jump shots. Taking too many jump shots, however, will force him to work hard on that shot, which has the potential to get much better. Also, he has lapses on defense. He is too often caught watching the ball on defense and sometimes lacks the effort necessary on an every-night basis in the NBA. However, this should improve with time and repetition, and Russell has the upside and potential to be a good defender at the next level. He’s right. On an Ohio St. team that struggled at points last season, he was willing to shoulder the load on offense to try to get his team back into the game. While his game isn’t all the way there yet, that’s okay, because no player in the draft’s game is. Some may say that Towns is the best player in the draft, but he is really inconsistent in all areas of his game, and while not an unproven player, is a bigger risk who will take much more time to develop. Some may have Okafor at #1 on their boards, he is not a great defender and is in-explosive, just like Russell. Those people can think what they want, but Russell will be the best player to come out of this class. In most mock drafts, Russell is going to Philadelphia at #3. This is the perfect situation for him, and he has the potential to blossom there. Actually, he has the potential to blossom anywhere he goes. I think of him as a less explosive version of Damian Lillard; can score in bunches while setting up teammates all the while. People who favor Okafor or Towns can think what they want, but Russell will be the best player to come out of this class. And here’s why: he’s the best player in the draft. The Timberwolves, sitting at the top of the draft, are in an unenviable position. While they have a great problem in choosing between Kentucky’s Karl-Anthony Towns and Duke’s Jahlil Okafor, they have an interesting and difficult decision to make. Do they draft the Power forward in Towns and leave the oft-injured and somewhat under-performing Nikola Pekovic in an center? Or, do they draft the center in Okafor and potentially leave the aging and regressing Kevin Garnett to haul a heavy load playing in what will likely be his last season in the NBA? Also, does the Big Ticket decide to come back? If he doesn’t, and Okafor is the choice, who plays the four? Again, it’s a good problem to have if you’re Minnesota, but it’s problem nonetheless. The Lakers are sitting at two, and while their choice seems like a no-brainer, it is actually more of a trick question than you think. While it seems as if they would take whoever the T-Wolves don’t in front of them between Towns and Okafor, I think they could make it a surprise with this pick. With no point guards on the roster headed into next season (no, I’m serious) except for Jordan Clarkson, they could, and I emphasize could, take either Emmanuel Mudiay, who originally would have played at SMU this season and turned them into a championship contender, or Ohio State’s D’Angelo Russell here. It’s a stretch, but not a huge one. A much bigger stretch would be fast-rising Latvian big man Kristaps Porzingis, who has made waves for his shot creating and three point shooting. The Lakers need almost everything here, however, and Byron Scott has his own personal vendetta against 3-point shooting, so no Porzingis here. After all, I don’t really think he fits the Lakers anyway, but on a team with Nick Young and Kobe Bryant taking all the shots, who does? At three, look for the 76ers to go point guard. The expected choice here and what seems to be the common sense one is Russell. He is one of if not the most polished offensive player in this year’s draft, and could have a season like that of Michael Carter-Williams two years ago. This works out perfectly for Philly, if Russell or Mudiay are available, and there’s no reason to think why at least one of them wouldn’t be there. However, if Towns of Okafor are avaiable, they most likely would not be taken here, as the last thing the Sixers need is big men. Again, this is a great position for Philly to be in here; with potentially no Towns or Okafor available here, they can still get their point guard of the future, whoever that may be. This is just the first three picks. The rest of the night is a litany of fun, trades, and booing that gives us plenty to salivate over until October. Until then, we wait for the draft. I hope to do a mock draft at some point, but the Playoffs will have to hold us over until then.